Over the last few weeks we’ve talked about what a social enterprise is, why marketing a social business is a little bit different, best practices for marketing your social enterprise and a fabulous social business brand example. 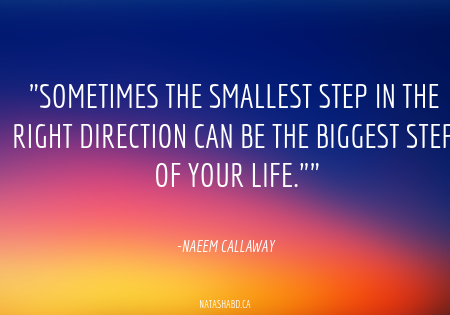 Hopefully, you’re feeling inspired with some tangible ideas to improve or get started on your social enterprise’s marketing. Today, it’s time to hand out some awards for the best social enterprise resources out there. 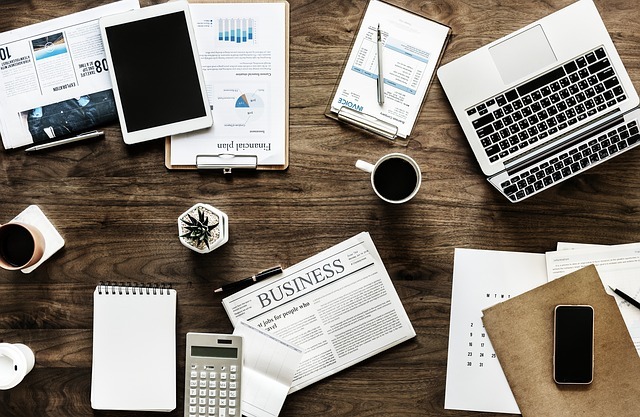 These tools and resources will help you achieve marketing success, and hopefully save you some time and money along the way. Happy marketing! The academy (errr, I) would like to congratulate the winners in the following categories. Without this book introducing me to this world, this post wouldn’t exist. 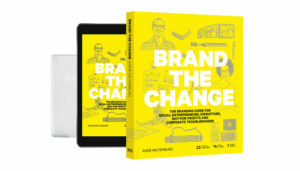 Brand The Change by Anne Miltenburg is an excellent resource for marketers and social entrepreneurs, whether they are building a brand from scratch or looking to strengthen their existing brand. The book provides a helpful mix of actionable steps, real world examples and anecdotes and exercises to help you bring the book’s wisdom to life. The information is clearly presented in an easy-to-digest manner that doesn’t require a marketing or business degree to understand. I ordered it when the new edition first came out so it took a while to arrive from the Netherlands, but it was absolutely worth the wait! As one of the world’s largest innovation hubs, MaRS has a wealth of online resources available about all aspects of social business from business planning to legal issues and everything in between. You can browse their extensive library of articles and videos or enroll in their Entrepreneurship 101 online course. For those in the Toronto area, you can take advantage of their workshops, events, funding or job board. HubSpot is not a social business focused resource, but it is one of my go-to places to learn new marketing skills. They have a large collection of free articles, videos and courses about various aspects of marketing from social media marketing to inbound marketing. HubSpot also offers certifications so you can prove and display your newfound marketing knowledge. If you’re looking for a CRM or marketing stack for your social enterprise, HubSpot is one of the options you should consider. With a mission “to provide anyone, anywhere the skills and community to drive social change” +Acumen offers free and paid online courses for social entrepreneurs and change makers. The courses are both on demand and scheduled on a wide range of topics including social entrepreneurship, human centered design, leadership, business planning, social finance and more! Having taken their Social Entrepreneurship 101 course, I can vouch for the quality of this online learning experience. 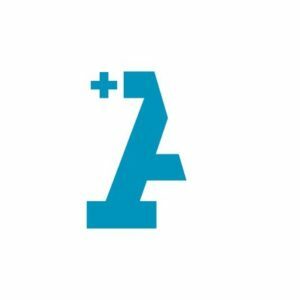 If you want to learn more about social enterprise marketing and social business planning, +Acumen is the place to go. Okay, enough learning! The tools below will help with your day-to-day marketing activities. Entrepreneurs often complain they don’t have enough time for marketing. With Hootsuite, you can make the time for marketing by managing your social media platforms in one place. Hootsuite also lets you schedule posts in advance (amongst many other awesome features!) to save time and plan out your social media messages in one sitting. If you want to learn how to use Hootsuite or improve your social media marketing, the Hootsuite Academy offers excellent free courses and certifications (for a fee) in these areas. Can I use Photoshop? Yes. Do I usually just go to Canva because it’s so easy to use? Also yes. Canva’s easy-to-use and free platform means you can create beautiful graphics for your social business without being or paying a graphic designer. You can make images in all different sizes with one of their templates or start from scratch. While Canva is free, they do have paid options if you want to take your creations up a level. If you want to learn a bit about design, you can use the free Canva Design School. Whether you use the easier WordPress.com or go full-in with WordPress.org, WordPress is my go to content management system, and not just because it’s a free, open source software! WordPress is extremely user friendly for all users from beginners to expert web developers, and offers many different theme, structure and hosting options to meet any social business’ needs. Need more proof of how awesome WordPress? Well, WordPress powers 32% of all sites on the internet, so they must be doing something right! Well, this is it! As I wrap up my blog series on social enterprise marketing, I hope you are now equipped and confident with not just the knowledge, but the tools and resources you need to help your marketing and social business succeed. Social entrepreneurship is not for the faint of heart; I wish you the best as you continue on your adventure and look forward to seeing the change your social business will create in our world. Have you used any of these resources? Are there any good social enterprise marketing resources that I’ve missed? Let me know in the comments!